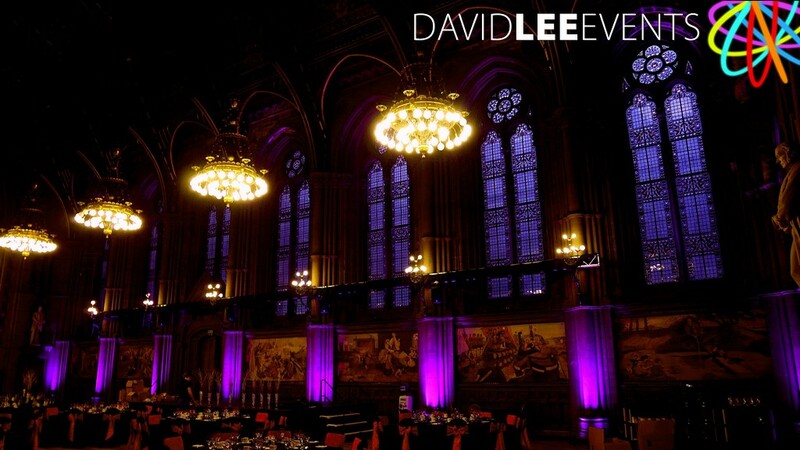 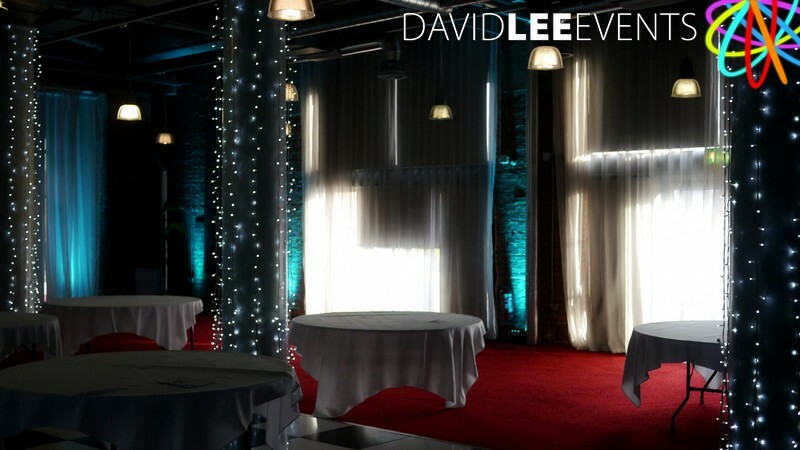 Place Aparthotel Manchester Venue Lighting. 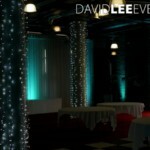 We Installed bright white fairy lights around 6 pillars. 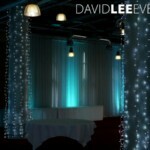 We also supplied the teal uplighting around the perimeter in the Penine Suite. 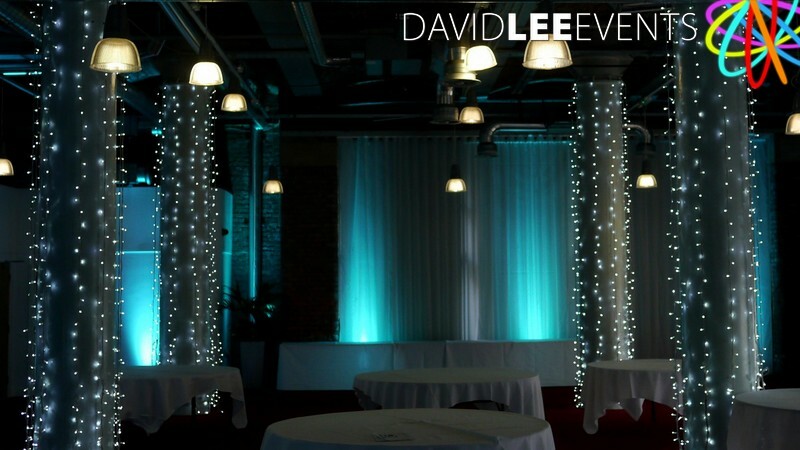 This was for a wedding in November. 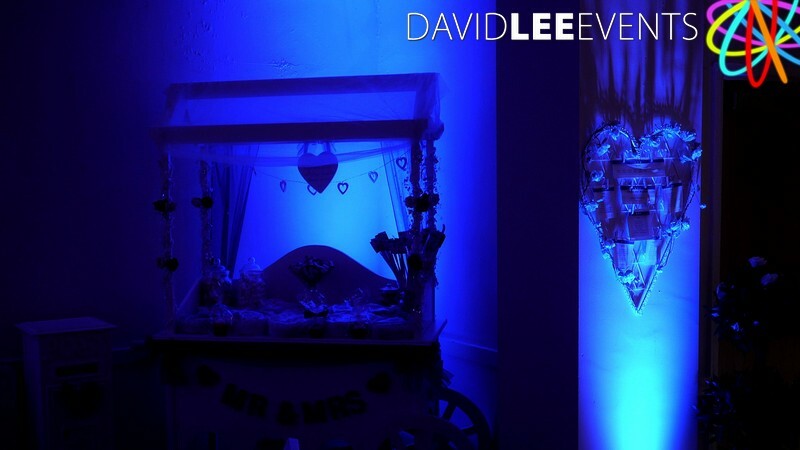 We also supplied the wedding DJ. 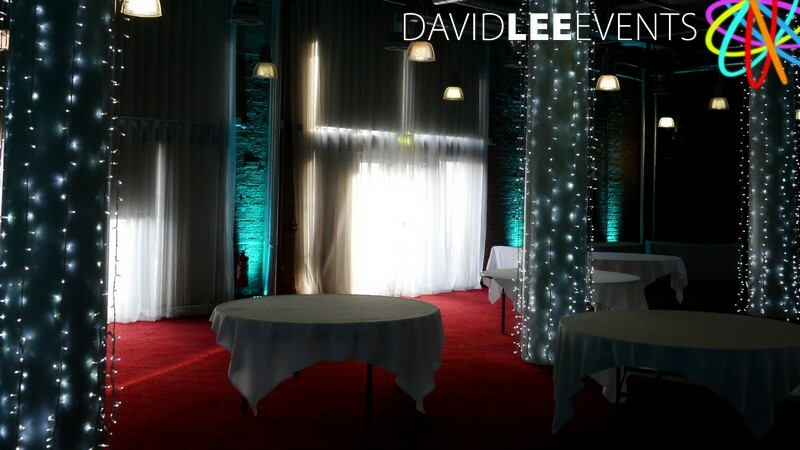 A blog on the actual wedding can be read here Place Aparthotel Wedding DJ & Lighting on out sister site. 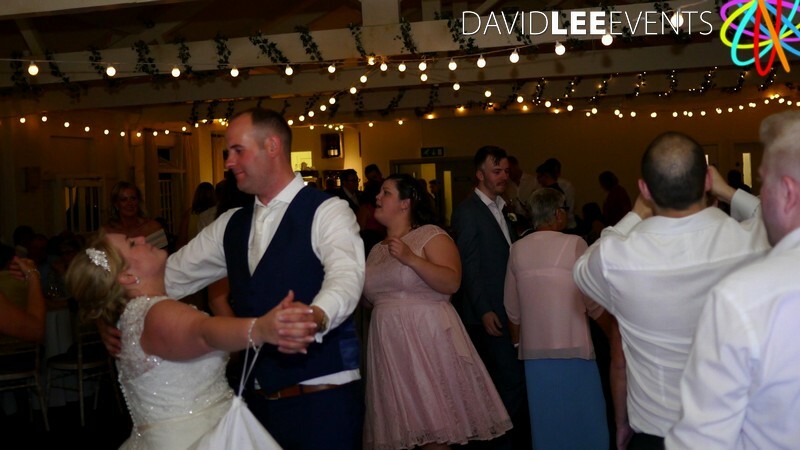 We met up with the happy couple prior to their wedding day to discuss exactly what they where after. 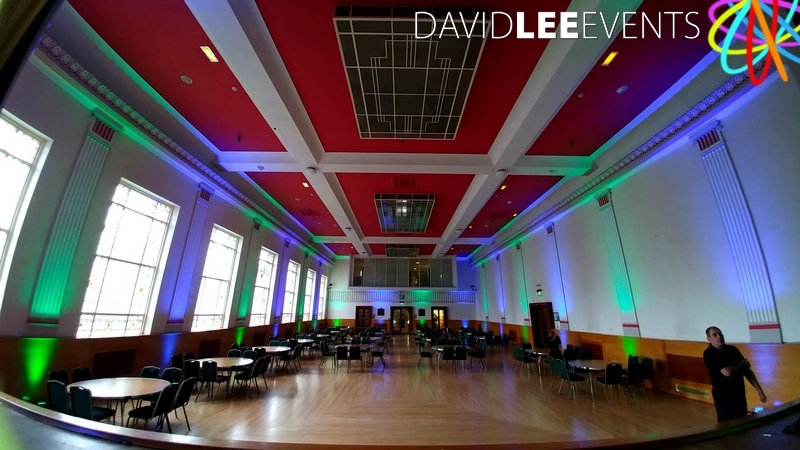 We also demonstrated different shades and colours of the uplighters. 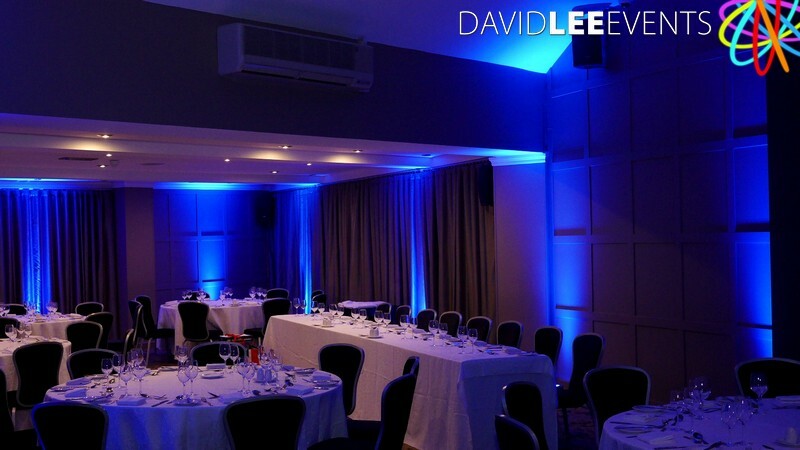 As lights project a different colour to what you’d expect sometimes, especially if you are shining them on to different coloured walls. 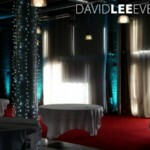 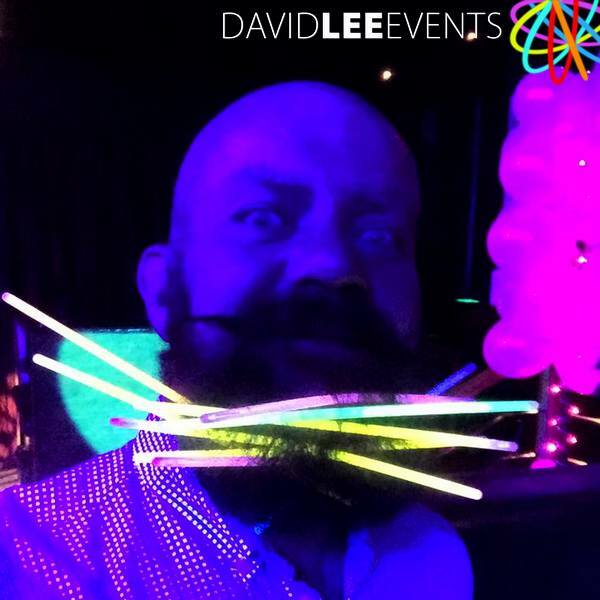 Thanks David for the outstanding lights and great DJ experience! 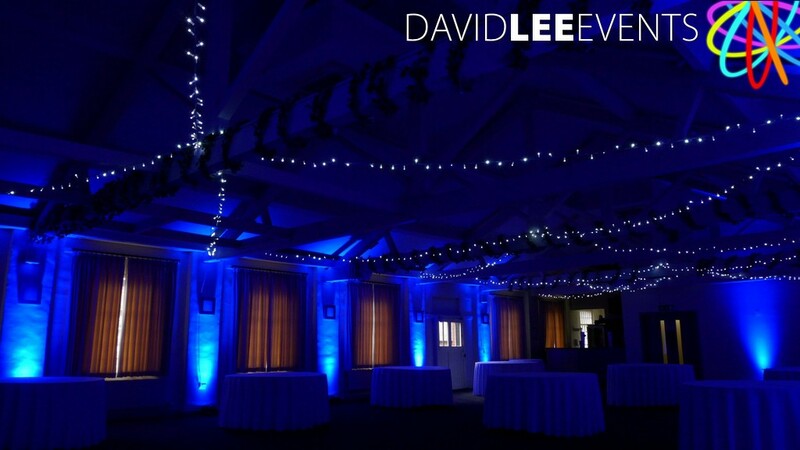 We had lots of fun, and everything was set up perfectly! 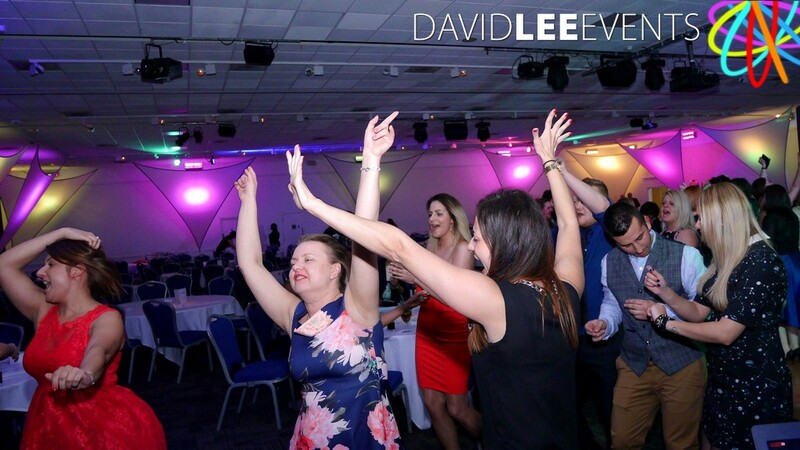 Music was great and had good time dancing and singing along! 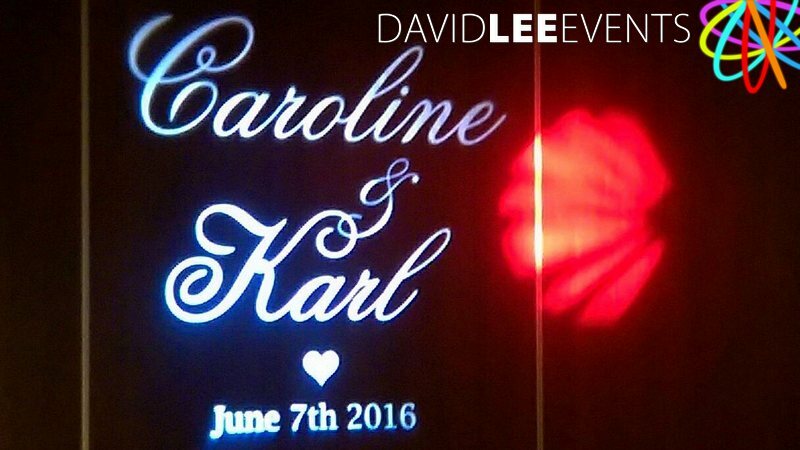 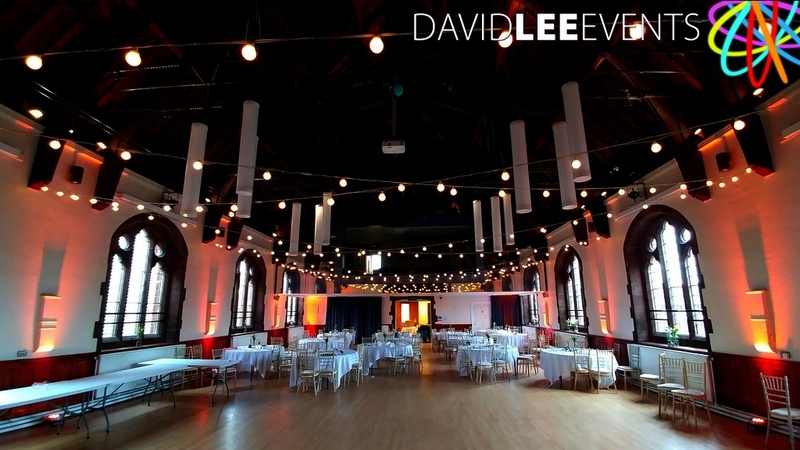 The lights were installed prior to the wedding, so they could be utilised for the whole day or just the evening. 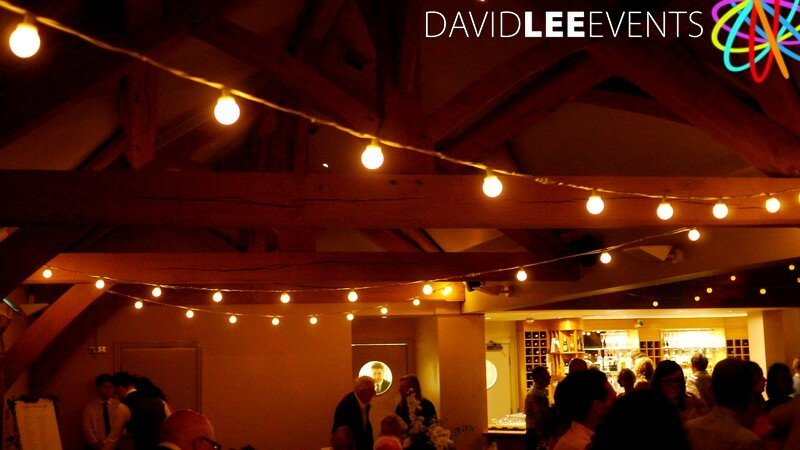 But as it was November (dark early) they did use for the whole day. 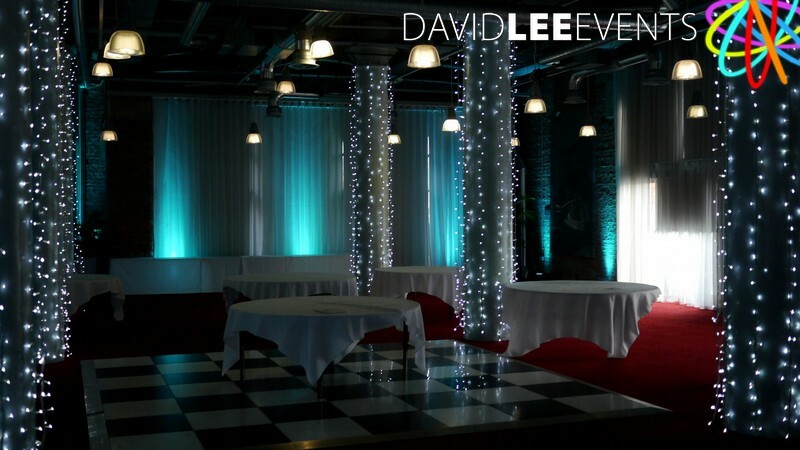 During the day the uplighting gave a nice little backdrop to the room. 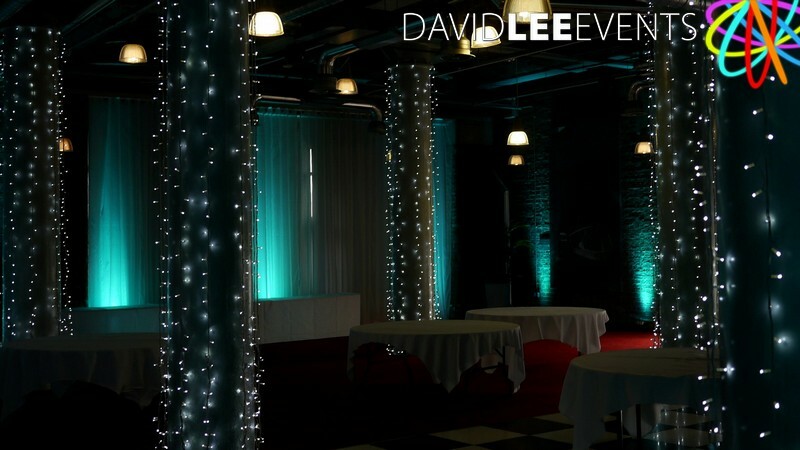 Hi-lighting the open brickwork is always a great feature with uplighting. 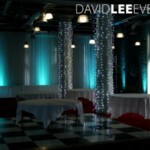 While the fairy lights stopped the pillars in the middle of the room looking bland. 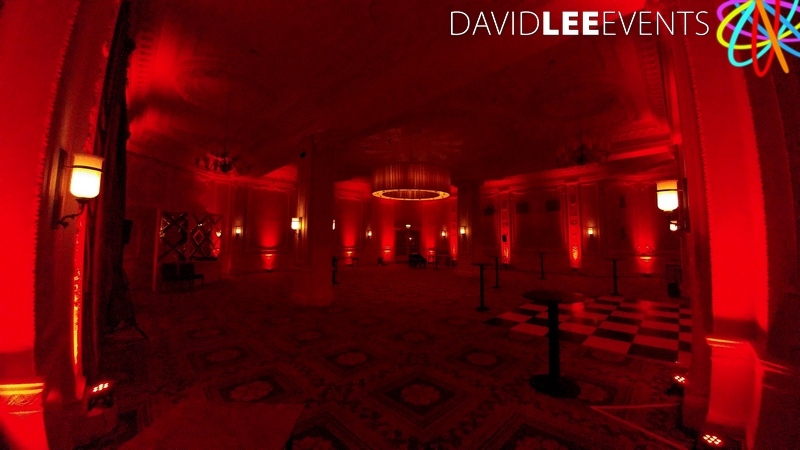 Then in the evening when the lights went down, they really brought the room to life. 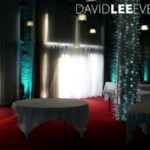 This gave the venue a real special feel for the couples 1st dance and beyond. 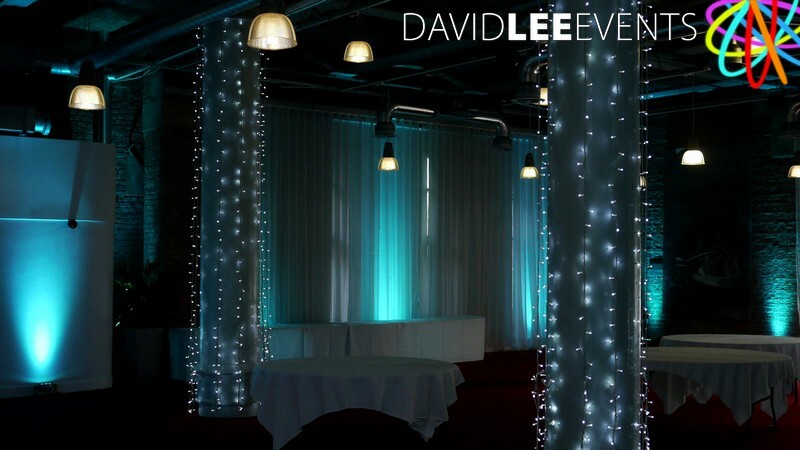 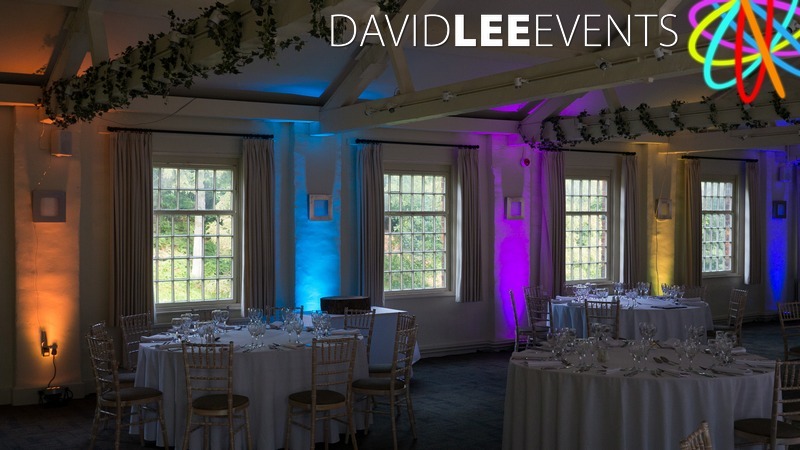 If you would like to disucss you lighting ideas for wedding here at the Place Aparthotel Manchester, or any other venue, then please do not hesitate to get in touch to discuss your ideas and desires.